The camera on Seal Island is mounted on a tower and provides a view of seals that migrate to the island to give birth. PORTLAND — A Web camera that records seal-pupping activities on a remote Maine island began streaming live to the public Thursday. 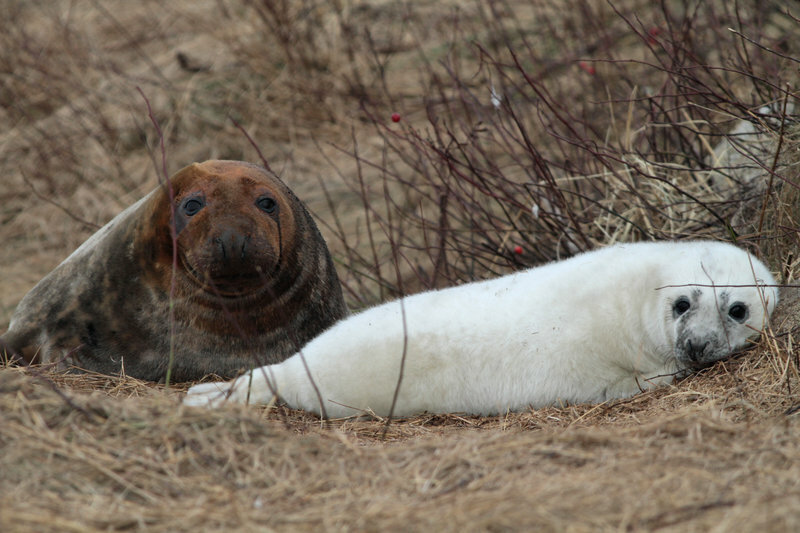 It’s believed to be the first live-streaming camera at any seal-pupping site on the East Coast. Similar high-definition cameras have been set up around the world in recent years to capture the activities of eagles, polar bears, loons, black bears and other animals. The camera on Seal Island, about 20 miles off Maine’s midcoast, provides views of gray seals that migrate to the island each year to give birth. 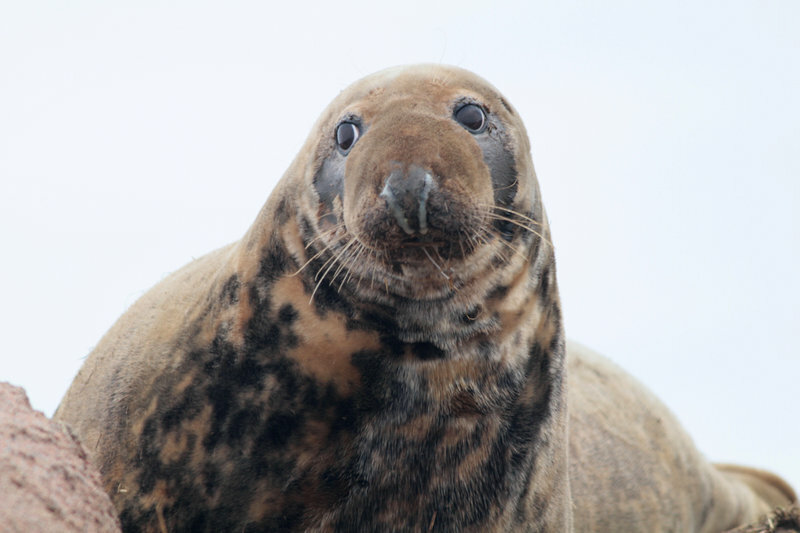 It’s expensive and difficult for scientists to visit gray seal-pupping grounds because they are on islands, and the seals give birth in the winter, when ocean conditions can be inhospitable. Seal Island’s tower-mounted camera gives scientists a look into the progression of seal-pupping season so they can gather information such as when the peak occurs and how long it takes seal pups to molt, said Stephanie Wood, a biologist with the National Oceanic and Atmospheric Administration. It also allows the public to watch “nature in action,” she said. The 65-acre island is owned by the U.S. Fish and Wildlife Service and managed in cooperation with the National Audubon Society. Audubon, in conjunction with explore.org, set up two cameras on the island last spring to stream live video of clown-like Atlantic puffins, which live on the island each summer. With the puffins gone for the season, Audubon offered to let NOAA keep one of the cameras on the island to record the gray seals that swim there each fall. The project is funded by explore.org, a philanthropic organization in Santa Monica, Calif., and a division of the Annenberg Foundation, with the aim of connecting people to nature. The video can be seen on explore.org’s website. “With the new seal pupping cam, we are helping people escape the urban squalor and, if only for a moment, reconnect with nature in its purest state,” Charlie Annenberg, founder of explore.org, said in a prepared statement. Wood and explore.org say they don’t know of any other camera that streams live video of gray seals giving birth. Gordon Waring, who heads the seal research program at NOAA’s Northeast Fisheries Science Center in Woods Hole, Mass., said he’s not aware of any cameras, but they might be used in other countries. Scientists and explore.org producers can operate the camera remotely — tilting it, moving it side to side and zooming in and out — to get better views of the 300-pound mother seals and the newborn pups, covered in thick white fur. The camera also provides shots of seals quarreling among themselves and interacting with bald eagles. The camera will allow biologists to identify adult seals that have been tagged or branded elsewhere and learn more about their movements and life history, Wood said.